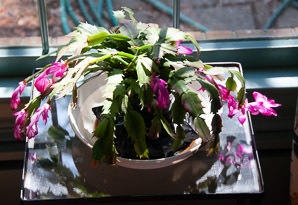 Christmas cactus, named for blooming in December and January, has been a popular house plant since the 1800s. 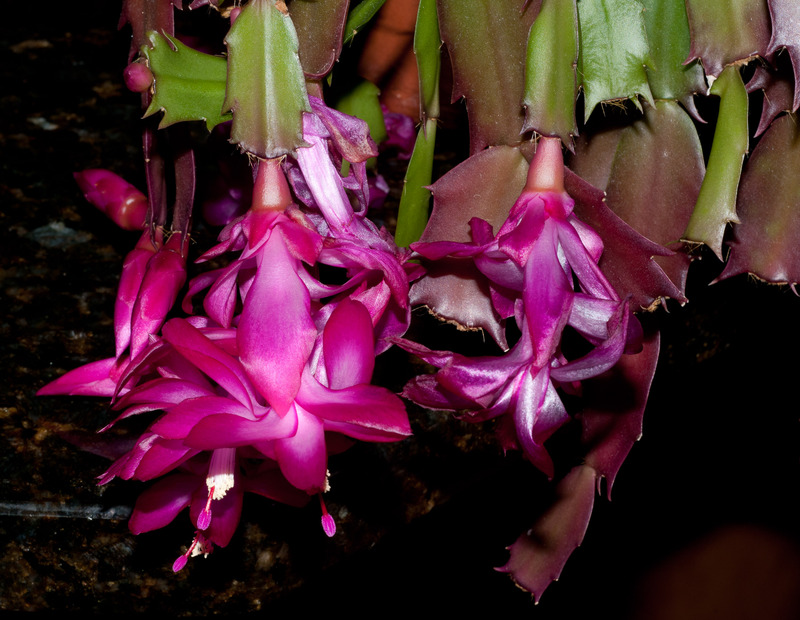 It is native to Rio de Janeiro in Brazil, at elevations of 4593-6890' (1.4-2.1 km); it is not found in the wild in North America. Extensively cultivated, many varieties exist—those shown here are cultivars. Identification: Members of Schlumbergera are epiphytes—plants that grow on other plants (such as trees), without harming their hosts. 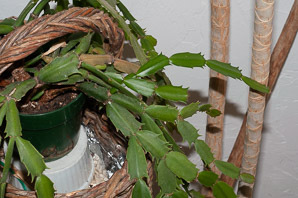 While most cacti have tubular stem segments or “Mickey Mouse” ears, these have flattened segments called cladodes, about ⅜-1½" (1-3.8 cm) × ¼-¾" (8-20 mm), and about ⅛" (3.2 mm) thick. 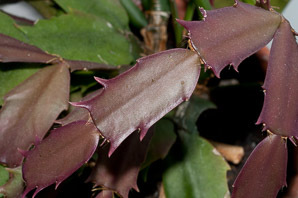 The segments lack true spines, though they usually have two spinelike protrusions on both sides of each segment. 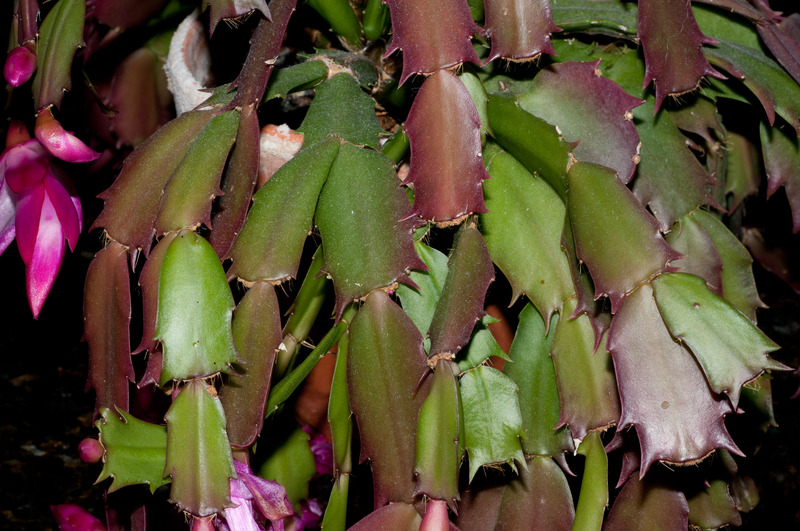 They are light to deep green, or burgundy in color. The pink bell-shaped, hanging flowers are about 1¾" (5 cm) long and 1-1½" (3-4 cm) in diameter. 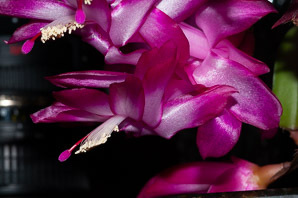 In cultivated varieties, flowers may be larger, and may be red, magenta, white, salmon, or orange. Fruits are approximately round, and greenish yellow. 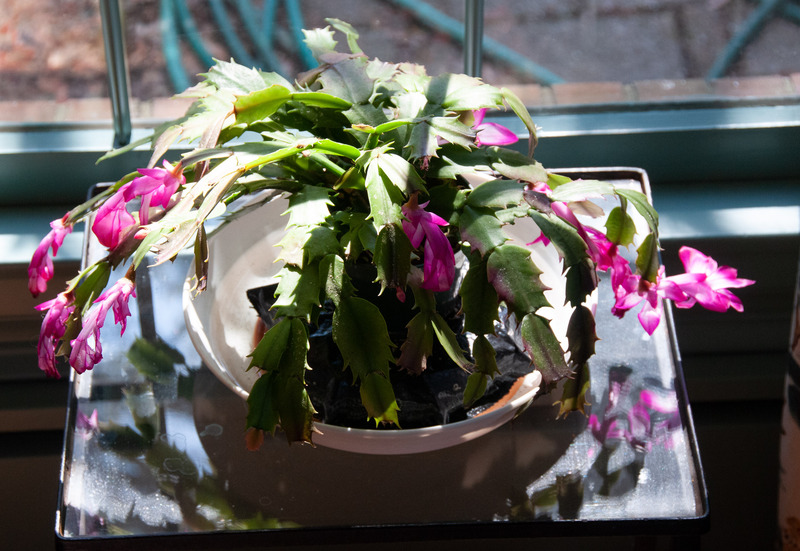 Schlumbergera russelliana description by Thomas H. Kent, last updated 12 Oct 2018.